Marine Corps aviation units based in Japan, in addition to those attached to the 31st Marine Expeditionary Unit which is currently embarked on board the ships of the Bonhomme Richard Amphibious Ready Group, are currently training with embarked 31st MEU Marines, the 5th Royal Australian Regiment and Marine Rotational Force–Darwin during Exercise Koolendong 2013, a bilateral exercise taking place at the Bradshaw Field Training Area in the Northern Territory starting 27 Aug. for approximately two weeks. Exercise Koolendong 2013 is designed as a “proof of concept” to assess the capacity of the Bradshaw Field Training Area to accommodate live-fire training for battalion-sized units of approximately 1,000 personnel and demonstrate the capabilities that U.S. amphibious forces can provide. 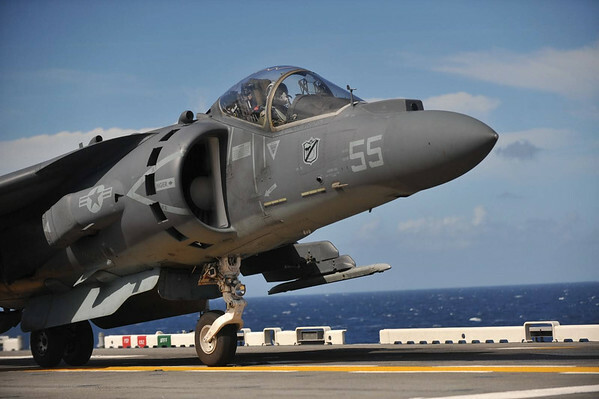 The exercise will feature day and night live-fire training that includes light and heavy machine guns, mortars, artillery and aviation-delivered ordnance from AV-8B Harriers from the 31st MEU (attached from VMA-214 Blacksheep) and FA/18D Hornets from VMFA-242 Bats. Additionally, three KC-130Js from the Sumos of VMGR-152 will provide tanker and transport support while MV-22 Ospreys, CH-53E Super Stallions and UH-1Y Hueys from VMM-265 (Reinforced) will provide assault support transportation from the USS Bonhomme Richard (LHD 6) operating at sea. The Bradshaw Field Training Area is a remote training range in the Northern Territory, Australia; it is approximately 200 miles south/southwest from Darwin and is over 3,300 square miles in size.